There was a time when Berlin was surrounded by a wall that made the city an island. At some point, you hit in West Berlin in all directions the wall, with only a few loopholes. 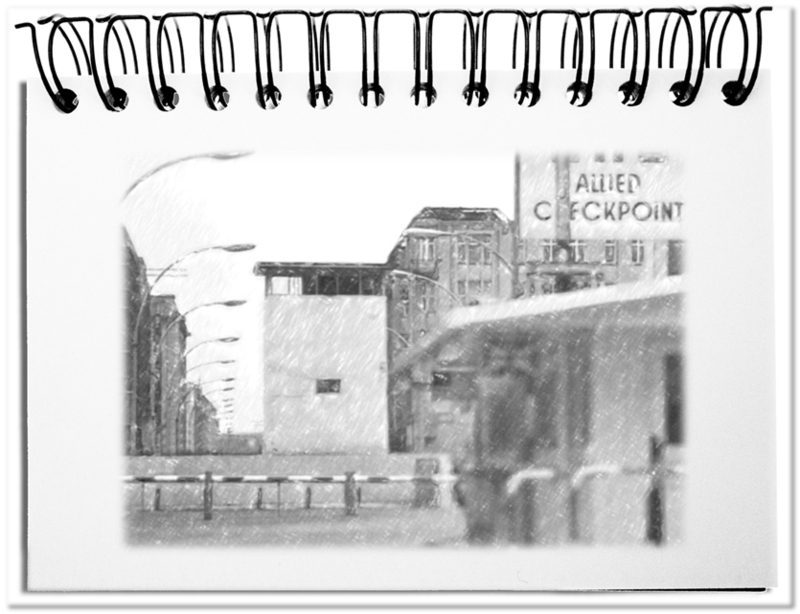 Even today, the nocturnal journey through the former Checkpoint Charlie is still a noticeable border crossing, even without control and the wall. One dives from the white light of the West Berlin mercury vapor lamps and fluorescent tubes into the warm light of the East Berlin sodium vapor lamps. Even the attentive pedestrian notices that the traffic light man suddenly wears a hat. That’s what border crossings are about. All kinds of systems live from the fact that something belongs to them and a lot of others do not. Often these boundaries are not so clearly marked. For this reason, it is important to be attentive to notice a passage from one system to another. The following aspects provide a simple grid to facilitate border crossings in a way that nobody takes any harm. The space offers many recognizable boundaries – rivers, mountains, roads, walls, etc. Not every limitation automatically leads to an area with new regulations. However, it is very likely that something is changing, when you are exchanging the environment. Anyone who lives close to a river, on the left or right bank, knows these differences. Time also divides incessantly. Be it the past from the present or the present from the future or the before from the after. A border crossing also takes place when you enter a country after a long-haul flight by crossing the passenger boarding bridge – many passengers return home and others become aliens. You become aware of the context through these questions: Where am I? At what time? Especially diverse systems set up fields of activities or professions. Each type of employment creates a closed system with determined conditions, where those who belong to it understand each other. The others are excluded. This can be recognized by the clothing, the tools or the technical jargon – kick-off, throw-in, penalty, header, off-side (who might this be?). For outsiders, it is a kind of foreign language that must be learned. Quick access to the meaning could be achieved by asking: What is being done? What’s it called? Over time, the abilities have become more and more specialized. However, it is possible to define areas of knowledge that together form a closed subject area, which in turn consists of specialized subsystems, which in turn … etc. This leads to different abilities between electro and thermos dynamicists or quantum physicists as well as to barriers of understanding between branches. The associated languages form further boundaries that demarcate or ostracize. Access to a different culture is made possible above all by the corresponding language competence – if Europeans speak of thinking, they point to the head, while Japanese tend to point to the heart. Overcoming this border is made possible by questions like – How do you do it? What do you have to learn? The mental models of the members of a system are difficult to explore, because they only have an effect in the minds of the people. They become visible in the context, the actions and the demonstrated skills. The convictions form the mortar that connects groups of all kind. The crossing of the border is recognizable by the reactions of the people. If one violates their beliefs, like certain rituals or behavioral norms, then one is sanctioned without delay. At the same time, one is trapped in one’s own mental buildings – if, for example, justice is determined unilaterally. 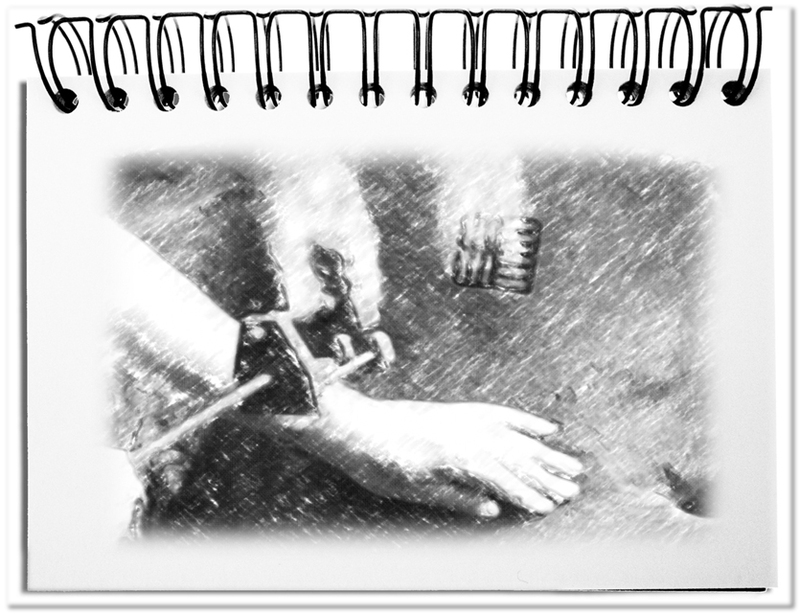 For some, a prison sentence is the worst, for others a flogging – although the need for punishment is common to both.. The edge of convictions can be determined by cautious enquiries: How do you say that? What do you have to do? A special form of border exists between roles. These are exceeded daily again and again – once you are an employee, then a boss, then a colleague, then a spouse, then a father, then a friend, then a member of the association, etc. In business life, roles are sometimes described in writing with task, authority and responsibility. The previous aspects (see above) are also different for each role – e.g. the different languages of the boss, the spouse and the association member. That’s why all the questions that were mentioned so far are raised here, as well as: What role is this? Which AKVs are included? The affiliation is the most difficult border because it hides fundamental aspects. Here the superordinate context of meaning and basic questions of life find deeply anchored answers. Fundamental borders, which are difficult to move, are formed by religions as well as economic and political systems. They are based on the personal belief and the bonds with one’s own roots. In order to cross these borders, respectful questions are necessary: What does that mean? What do I have to pay attention to? Bottom line: We are constantly crossing borders unreflectively. Any border crossing can lead to a conflict. For this reason, it is important to be continuously aware of the limits. For this purpose one observes the context in which one finds oneself, the actions that happen, the abilities that become visible, the convictions that become recognizable, the roles that exist and the affiliation that characterizes the other side of the border. Borders lead to demarcation and ostracism, sometimes intentional and sometimes unintentional. Crossing borders is unavoidable, but can happen with the respective awareness in a way that nobody gets harmed. These are some aspects that border crossings are about. Dieser Beitrag wurde am Dezember 22, 2018 von memecon in English, Interconnected thinking veröffentlicht. Schlagworte: Ability, Activity, Affiliation, Berlin, Context, Conviction, Role, Wall.